Posted on November 13, 2013 . The Yavapai County Republican Committee needed a new look and that was provided by local Prescott ad agency, Helken and Horn. I took their excellent design and coded it into reality. 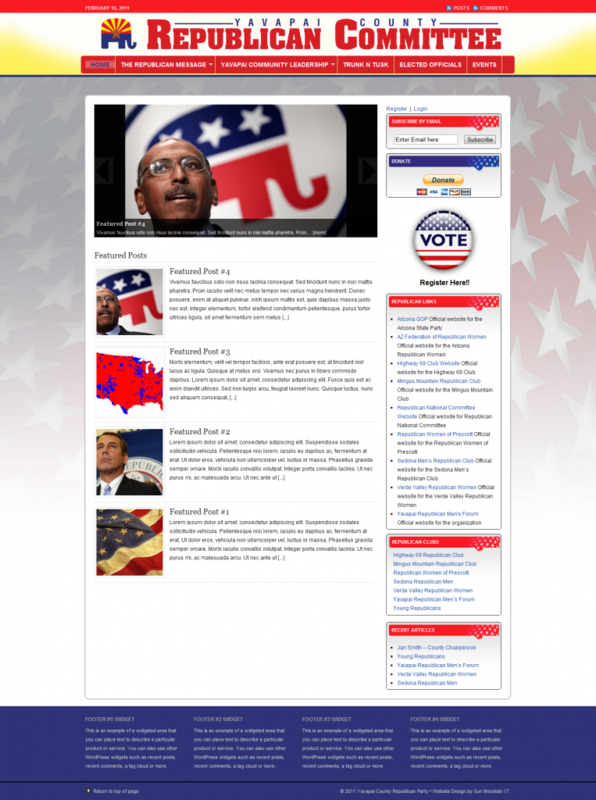 The old site, besides not being too great to look at and hard to navigate was also hard to update. So we gave the design a WordPress backend and made it super user friendly to add new articles and keep old pages up to date. Functions that were hidden were brought front and center like the option to register to vote and to donate to the cause. Donations are accepted through the third party processing gateway so credit cards can be accepted. If they decide to sell items in the future, those functions are already built in. A fundraising thermometer was also added to create a visual of their progress and goals which takes less than a minute to update. 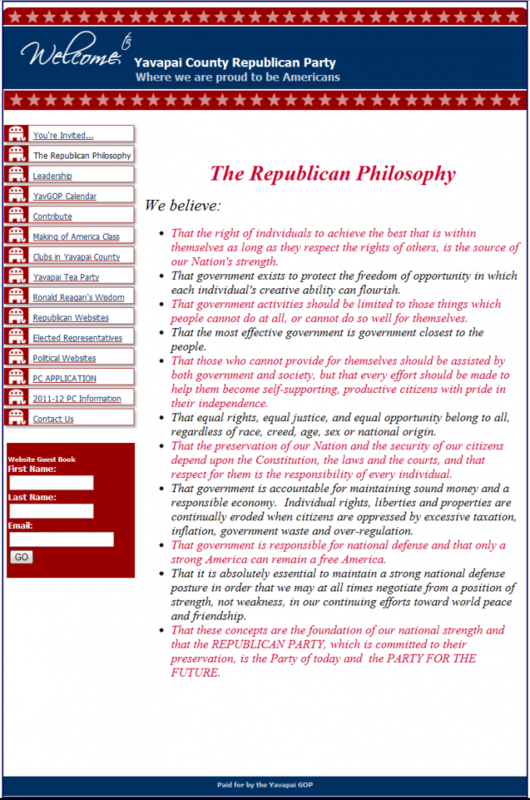 A facelift of the site, a little tweak here and there, some added functionality, and the Yavapai Republicans have a great new site.